Enhancing and promoting sustainable transportation is a pillar of the City of Orlando’s Green Works Initiative. 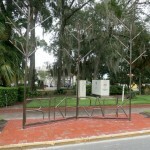 Providing bike parking encourages people to use their bicycles as transportation. 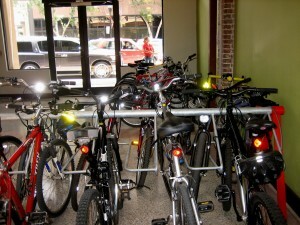 People are more likely to use a bike if they are provided convenient and secure parking at their destination. 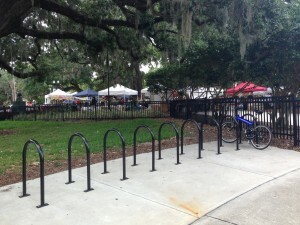 The City of Orlando has a program in place to install bike racks within the public right-of-way for the purpose of increasing the amount of available bike parking. 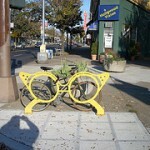 If you would like to request a bike rack for your business, fill out our online request form. For new development and redevelopment projects, bike parking must be provided in accordance with Land Development Code requirements. 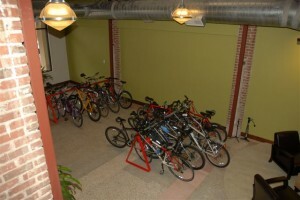 Locations and types of bike parking must be shown in building site plans and approved by the Transportation Department. 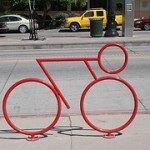 The Association of Pedestrian and Bicycle Professionals has compiled a list a bike rack types that should be avoided. 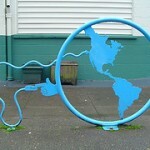 Location is an important factor in the utility of a bike rack and should be both safe and accessible. 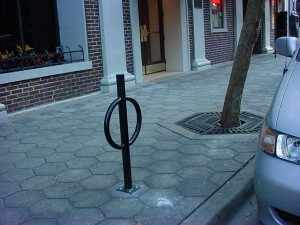 Weather protected bike parking is appealing to cyclists and is twice as likely to be used as exposed parking options. 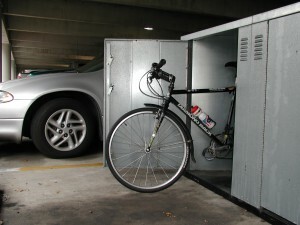 Bike lockers inside parking garages are a desirable choice for cyclists. 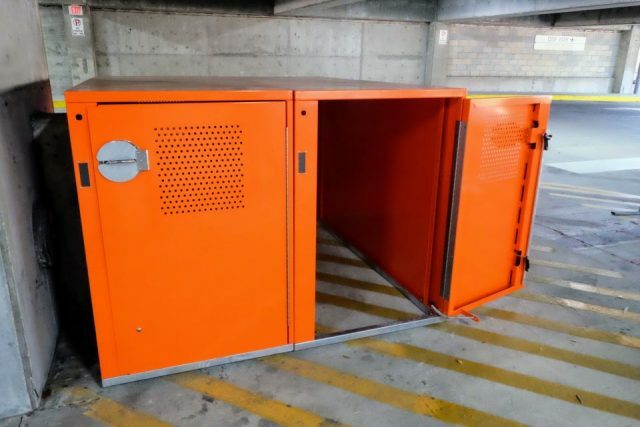 Using the building design to add sheltered storage is a creative means to supply much needed parking options for cyclists.